Easy blending and pouring … now that’s Good Thinking®. 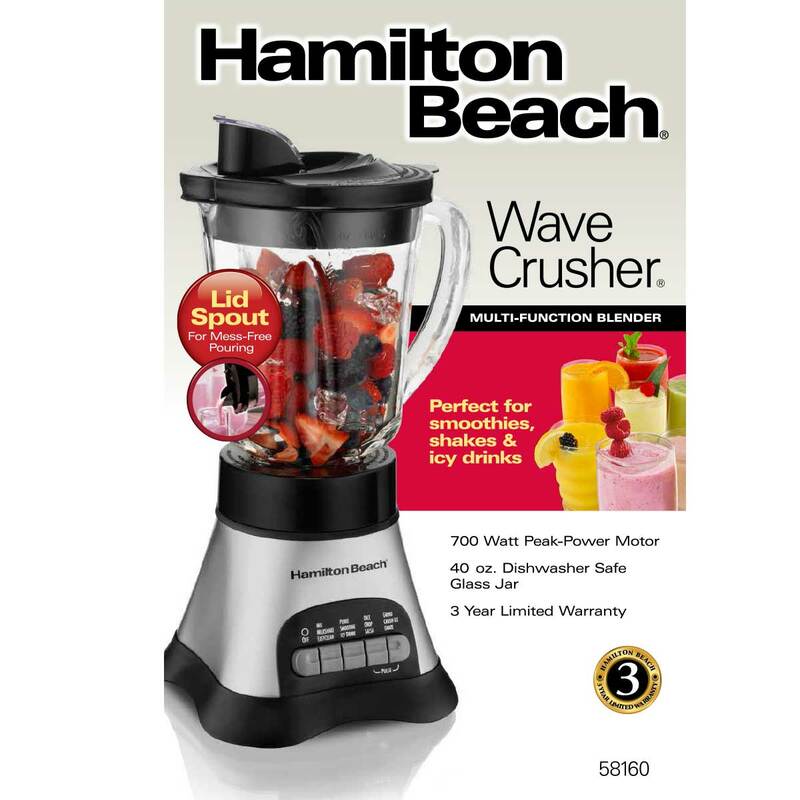 All it takes is a press of a button to get delicious results with the Hamilton Beach® Wave Crusher® Blender. 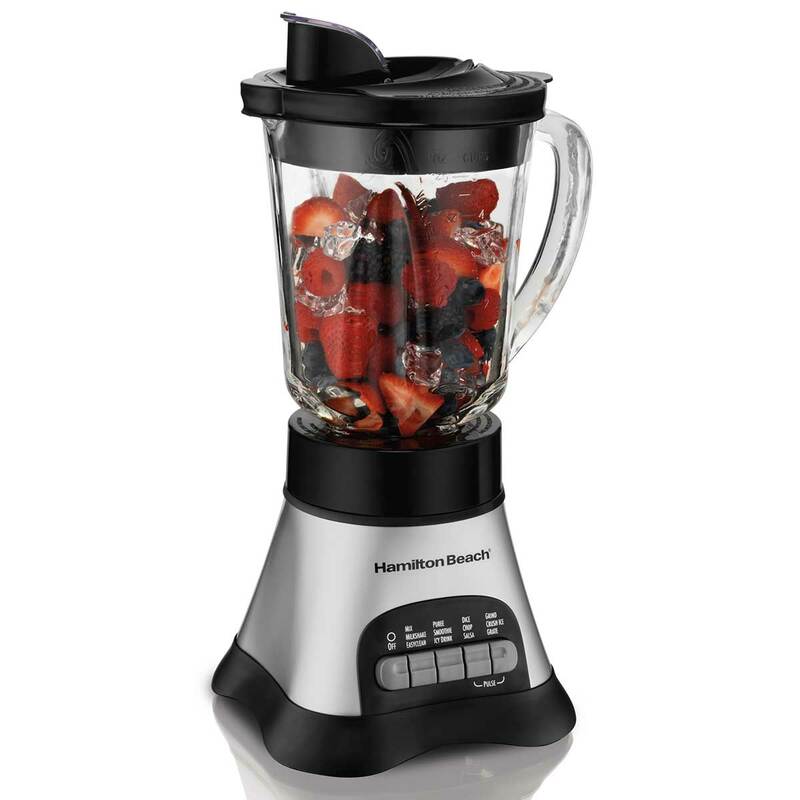 Built with the patented Wave-Action® system, this blender works to continuously pull the mixture into the blades for consistently smooth results. 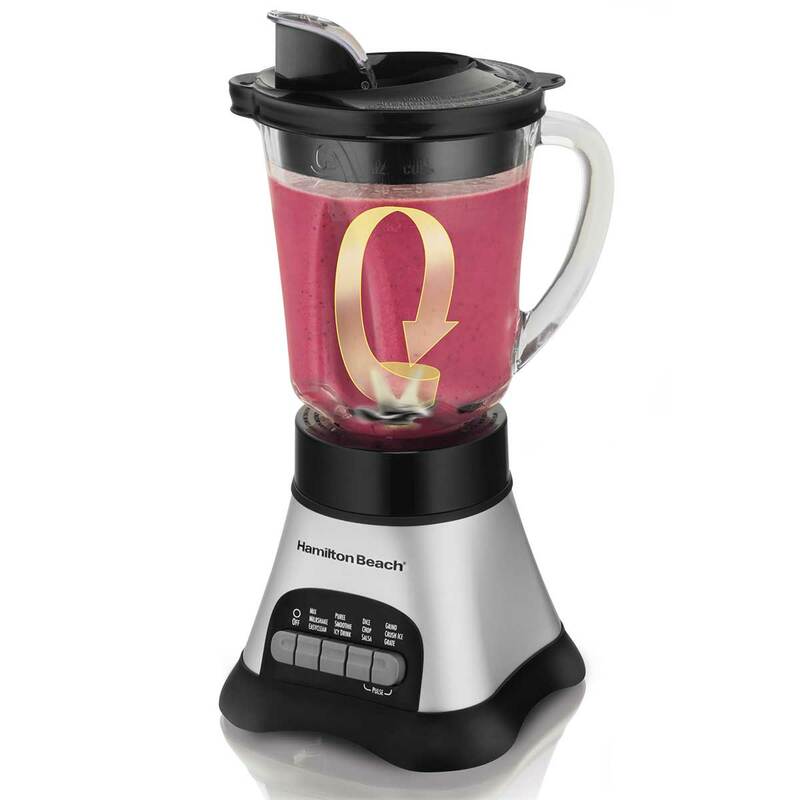 This system, combined with stainless steel blades, makes this blender ideal for smoothies, shakes and icy drinks. The 40 ounce glass jar is perfect for parties or making a pitcher of milkshakes the whole family can enjoy. And with 12 blending functions including Pulse, you’re sure to find the right setting for a smooth drink. You can also whip up sauces, dressings and purees. An easy-pour spout eliminates drips so there’s no mess to clean up. 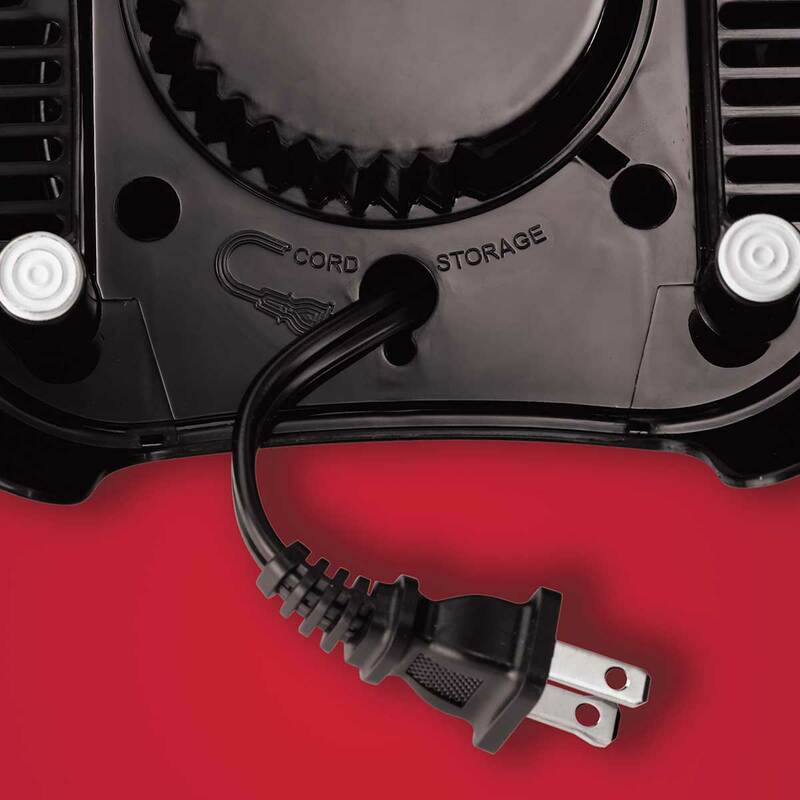 The lid, blades and jar are dishwasher safe and the base comes with storage for the cord. Ordinary blenders spin contents around the walls of the jar, which can leave whole chunks untouched by the blades, but the Wave Crusher® Blender has the patented Wave-Action® System, which continually forces the mixture into the blades for consistent results. Blend your favorite fruits, juice and yogurt together for a delicious smoothie, or cool off on a hot day with your favorite frozen drink. This blender was made to give you the flexibility to mix your favorite ingredients into a delicious drink. It is also perfect for blending soups or making purees.